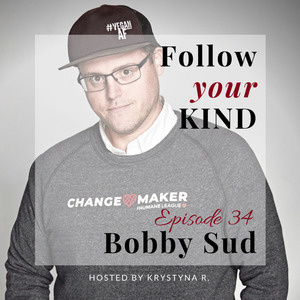 Bobby Sud is an accomplished filmmaker and a recognized vegan activist who is closely involved with the movement. Bobby is currently working with Shaun Monson (the director of “Earthlings” and “Unity”) on a new documentary called “Overhaul”, which we discuss during the interview. Bobby is also a creator, producer and director of the new vegan travel food show called “The Road Less Eaten”. Bobby works closely with LA Animal Save and The Humane League. To say he is passionate about animal rights does not even begin to describe the person that he is. Bobby is incredibly courageous, determined, kind, and completely selfless in his approach. 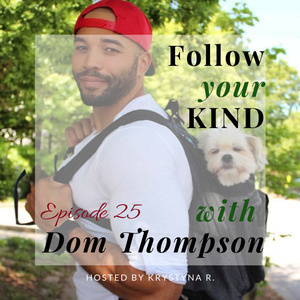 We talk about his personal journey of finding health and wellness, his activist journey and the work he does today, including vigils, non-profit animal right organizations he works with, his filming career and much more. Some parts of the conversation may be hard to listen, but I ask you to stick with us. My hope is that you hear what Bobby has to say, and walk away with a unique new perspective only you can experience. 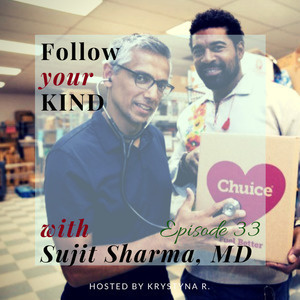 Dr. Sujit Sharma is a Harvard-trained pediatric ER doctor in Atlanta, Georgia who is also the CEO at Chuice, an innovative food company, and a member of the board of directors of Georgia Organics. I met Dr. Sharma at Forward Food conference a few months ago where we clicked immediately as I asked away about his passion in food innovation after trying for the first time Chuice - the awkwardly delicious juicy super salad drink. After many conversations with Dr. Sharma what still stands out the most to me is his dedication to underpromise and overdeliver in everything he does. Dr. Sharma is a powerhouse of knowledge in microbiome, he is also limitlessly passionate about creating functional solutions for addressing the health-crisis in this country. The more I learn the more respect I have for this knowledgable, dedicated, passionate and hip doctor who I now consider a friend. If you have not tried it yet, please check out the website at Chuice.com to get an idea of what we are talking about. We talk about the current state of healthcare and childhood obesity, we discuss what constitutes a healthy microbiome, and dive in in the story, evolution and plans for this lifestyle brand that Chuice is quickly becoming. Tune in to learn more and follow Chuice and Dr. Sharma on social media. 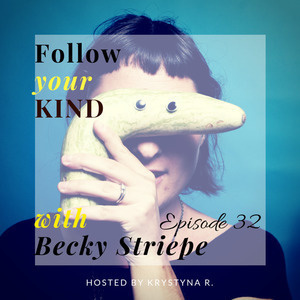 Becky Striepe (rhymes with “sleepy”) is a vegan food writer and cookbook author with a passion for making deliciously easy vegan meals. At her blog Glue & Glitter, you’ll find simple vegan recipes that don’t sacrifice flavor. If you have been waiting on a conversation on "how to" - this is it. Becky shares a ton of tips and trick on how to make vegan plant-based cooking fun, fast, delicious and reasonably healthy. What to eat for breakfast? How to make it fast? What utensils to buy? How to add a flavor boost to any vegan meal? How to get your kid to eat his veggies? Favorite sauces, dressings, party pleaser and... how to make a plant-based fairy dust? Becky is your girl. Tune in to learn more! 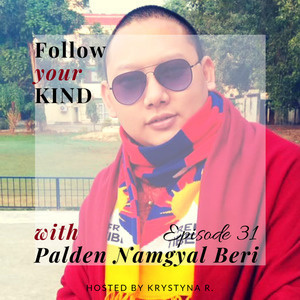 Palden Namgyal Beri is a Tibetan monk and an Assistant Professor at Drepung Loseling Monastic University in India. Palden was one of the lamas participating in "Healing and the Arts" exhibition that took place at Emory University Hospital in Atlanta, GA - the first stop on the tour of more than 30 stops to take place on this international tour. During the exhibition week at the Emory hospital a number of lamas worked on creating a beautiful sand mandala of Medicine Buddha. The following Saturday a closing ceremony including lecture and chanting took place after which the mandala was dismantled and part of the healing sand was distributed between the patients of the hospital. Palden speaks about the history, ritual and meaning of sand mandala. He shares his story of growing up in Tibet, escaping to India and becoming a monk. Palden also talks about fundamental concepts of Tibetan buddhism. 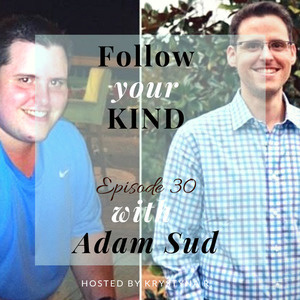 Adam Sud is a speaker, a diabetes and food addiction coach at Mastering Diabetes and an amazing human who lives a life of purpose and service to others. Adam has an incredible story of overcoming food and drug addiction, reversing heart disease and type 2 diabetes, and coming back from a dark place of deep depression. 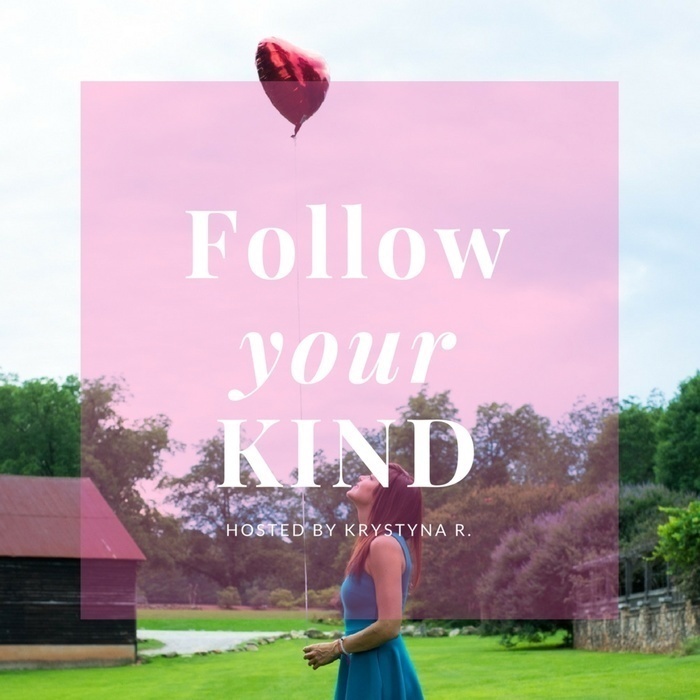 He shares his journey - what led him there, how dark was the bottom, and what shifts in perspective allowed him to fall in love with new behaviors that ultimately reversed his conditions and brought him on the path of physical and mental health. Adam speaks passionately about the way addiction is misunderstood, and how important connection is. He shares his perspective about plant-based diet as an important pillar of recovery for any condition, he talks about connecting with nature, and compassionate treatment of animals. His is truly an inspiring story, contagious with hope and ripe with seeds that can not fail but to instill in you the love and acceptance of yourself and others. 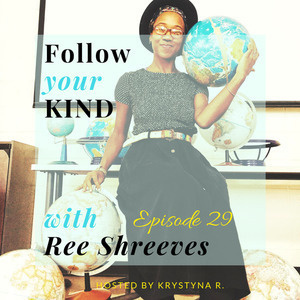 Anamarie "Ree" Shreeves is an earth advocate, who works closely with environmentally-driven organizations to support and promote their mission. Ree started her zero waste habits in April 2014, and simultaneously established a brand and founded a blog called Fort Negrita. At one point, it took her 13 months to fill a 32-ounce mason jar with personal trash! Her zero waste pursuits has led to features on PBS, CNN and ESSENCE Magazine. Today Ree is known among Atlanta residents. She co-organizes an annual earth day event called bEARTHday Fest, has taught zero waste workshops locally and at national conferences, jump-started the "Zero Waste in Atlanta" Facebook group, developed the “Atl Zero Waste Guide” and consulted local businesses in zero waste operations and accommodations. She also hosts ongoing reusable menstrual pad workshops so people that bleed can take ownership of their menstrual cycles, and sells reusable pads online and via in-person events. We talk about conscious consumerism, economical prosperity and the responsibility that we have to clean up after ourselves. Ree shares her journey, what inspired her to go "zero waste", how her views evolved through the years and the exciting projects she is working on right now. 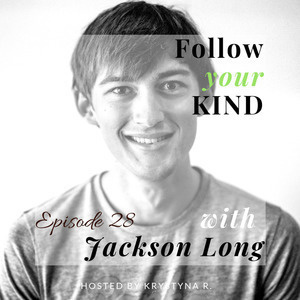 Jackson Long is a mountain athlete, a podcaster, videographer and photographer, co-founder of Thought for Food podcast and brand, TEDex speaker, beholder of Certificate in Plant-Based Nutrition from eCornell, an animal activist and an incredibly funny humble caring person on a continuous path of growth and self-perfection. We start with conversation about fiber and it's importance, discuss his journey of finding plant-based nutrition, and dive in into how it folds into endurance sports. We talk about eating disorders and disordered eating and its prevalence in the athletic community. Jackson talks about the specific things endurance athletes should look out for and how their version of plant-based diet may look different. We discuss the modern vegan movement, the extremes, and finding the balanced approach that is inclusive, rather than ostracizing. Jackson also shares the projects he is working on and exciting things he has coming his way. 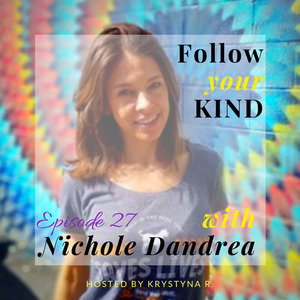 Nichole Dandrea is a plant-based registered dietitian with a passion for the powerful healing properties of whole foods and the positive effects of plant-based eating for animals and the environment. Nichole shares her plant-based inspiration through Purely Planted website, blog and social media, she leads vegan grocery shopping tours, does one-on-one and group coaching and detailed diet analysis for her clients. Nichole has also founded and ran a vegan organic chocolate business for 10 years - Nicobella Organics. In this conversation Nichole shares her journey. We talk about chocolate, yoga, kindness and discuss 53 reasons to eat more plants! Tune in to learn more and reach out to Nichole via links below! 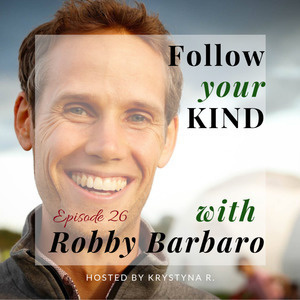 Robby Barbaro is a co-founder of Mastering Diabetes Program - an online coaching program that has changed the lives of more than 3,000 people around the world living with type 1 diabetes, type 1.5 diabetes, prediabetes, type 2 diabetes, and gestational diabetes. Before that Robby spent several years working in Forks Over Knives - a documentary and a brand that changed so many lives revealing the truth about the health, ethical and environmental implications of consuming animal products. This conversation is a deep dive in understanding the nature of diabetes, the biggest myths surrounding it, the financial consequences of diabetes on our economy, and the power that plant-based nutrition offers in healing our bodies. Dominick Thompson is a leader in the vegan community and founder of Crazies and Weirdos®, Eat What Elephants Eat® and the Running Herd. Because of this and his assertive activism, Dominick has received global recognition and has been featured in NPR News, ABC News,Men’s Health Magazine, Men’s Muscle and Fitness Magazine, Esquire, Veg News Magazine, bodybuilding.com, PETA and more recently, appeared on the cover of the Bright magazine in London. We talk about Dominick's fur-daughter - Scruff McFLy - and the role she played in his healing process. Dominick shares his reasons for going vegetarian and vegan, and what drives him to continue his work as an activist. He talks about about his work, new exciting projects he has lined up, such as his new wellness and nutrition program - Eat What Elephants Eat, the bigger vision behind it, and the upcoming podcast. Tune in to learn more! 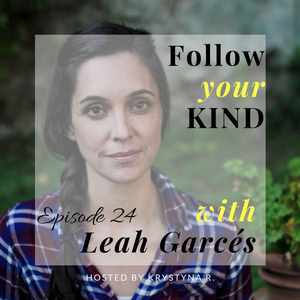 Leah Garcés is a founder of Compassion in World Farming USA and, as of October 1, the first female President of Mercy for Animals (MFA) - an international nonprofit animal protection organization founded in 1999 by Milo Runkle. Mercy For Animals is dedicated to preventing cruelty to farmed animals and promoting compassionate food choices and policies. Leah shares her vibrant journey in animal wellfair non-profits and what she has learned along the way. We talk about animal farming being a social justice issue, about the importance of stepping out of the “bubble” and bringing together many movements, thus finding their “intersectionality” and making them stronger. We talk about constructive activism, hope, and finding alternative solutions.